Sampling La Quercia - From left to right: coppa piccante, speck Americano, and Berkshire Prosciutto. Like many Italian families in southern Italy, we make our own salumi from pigs raised on family land. My grandfather would often slaughter a carefully raised pig and thereafter make wonderful cacciatore, coppa, salt pork, etc. (and today our cousin Guiseppe continues the family tradition). Herb and Kathy Eckhouse correctly realized that the tradition and process mentioned above could be easily replicated in the United States, that is to say, making cured pork products in the same town and farms were the pigs themselves were raised. The Eckhouse’s realization has turned into La Quercia (La Quercia – Iowa Style Artisan Salumi or Cured Meats), the Iowa based, salumi company that sources well raised, and in some cases heritage bred (including 100% Berkshire or Berkshire-Cross breeds), local pork. La Quercia, like many smaller salumi companies in the US such as Creminelli and Olli, use minimal ingredients (including sea salt and spices) to create their products. The resulting prosciutto is rich, luscious, and full-flavored. 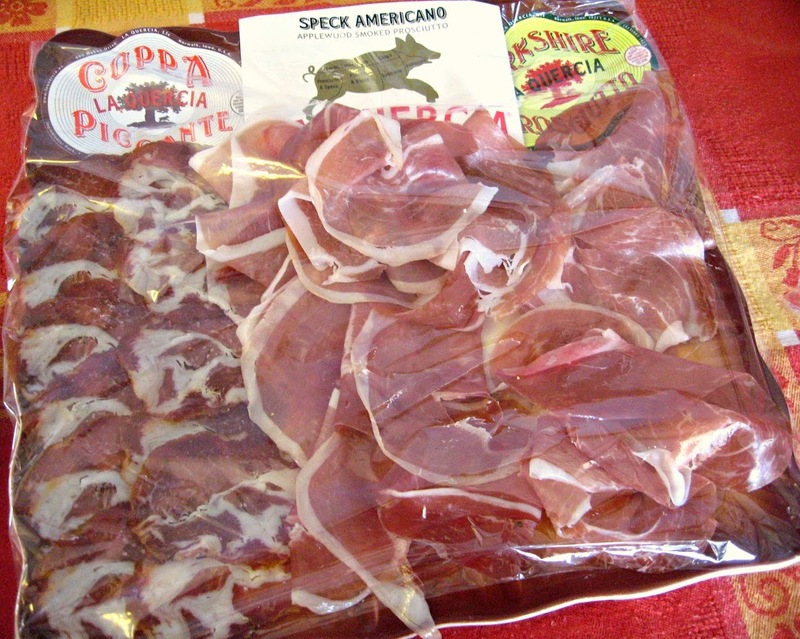 La Querica produces pancetta, guanciale, prosciutto, speck, spicy coppa, spallacia, lardo, lomo, etc. Their prosciutto program is particularly impressive with over 5 varieties offered (including organic and Berkshire pork based products). 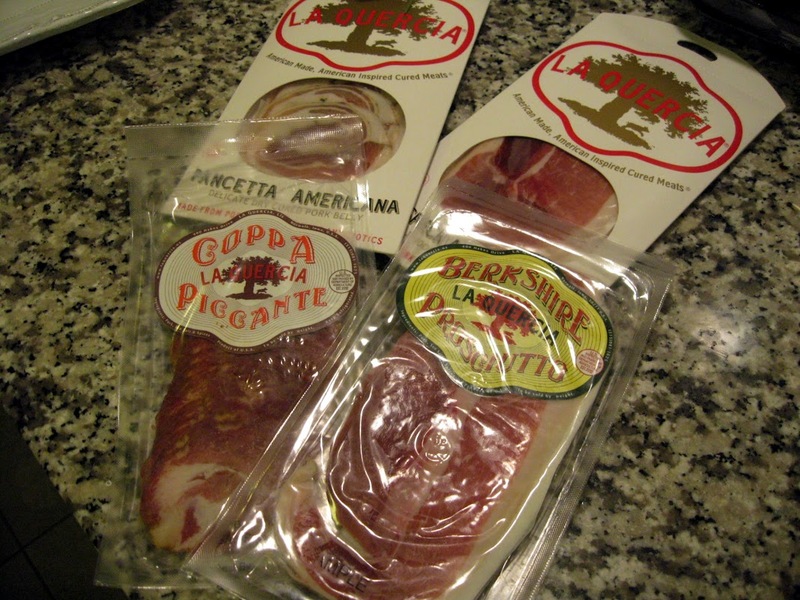 La Quercia packaging - pancetta Americana, speck, coppa piccante, Berkshire prosciutto. Salumi is best consumed freshly sliced, but the company does a nice job with pre-sliced product (though we wish the product was vacuum sealed). 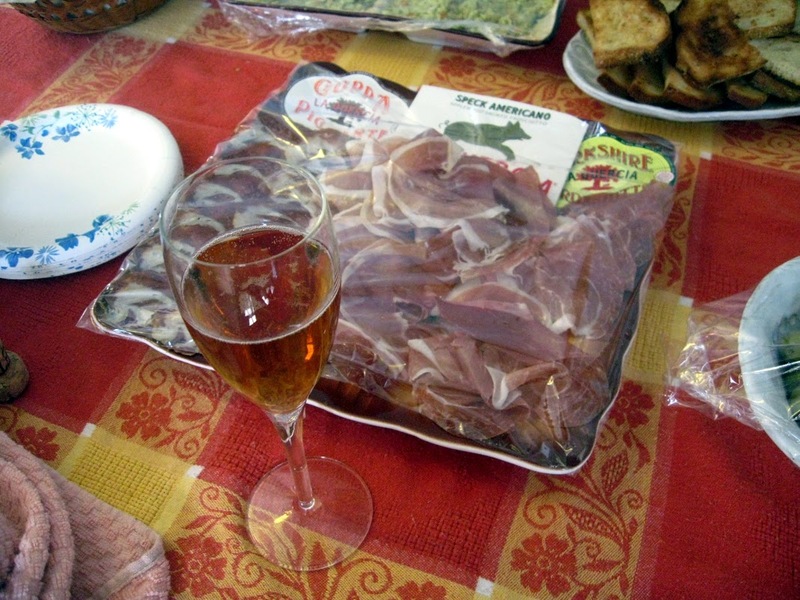 We sampled the coppa piccante, Berkshire prosciutto, pancetta, and speck. The samples provided were all pre-sliced and expertly packed with each receiving a single piece of wax paper (the packages weren’t vacuum sealed). Overall, the product was very good with the right balance of fat, salt, and spice. The Berkshire prosciutto and coppa piccante, specifically, showed good depth of flavor and the right combination of lean muscle with fat content. Like making a good cup of coffee with fresh beans, we would have liked to freshly slice the product as lots of flavor is lost when salumi is pre-sliced and packaged. Overall, La Quercia has hit the nail on the head with both their philosophy on salumi production and their end product; we say, bravo Herb and Kathy! A Bellini and some salumi - perfect! Totally agree. I’ve had La Quercia and they produce a fine product. One of the better US made products! I thought the Berkshire prosciutto was especially good.